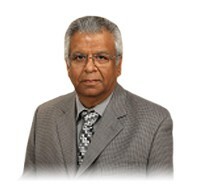 Dr. Inder Khokha received his medical degree at Government Medical College in Punjab, India. He came to the United States and completed his residency at Marshall University in Huntington, West Virginia. Dr. Khokha was on staff at St. Anthony Memorial Hospital in Effingham, Illinois, for more than 20 years. Dr. Khokha has been practicing as a surgeon in North Dakota for more than seven years. Dr. Khokha has vast experience in a number of surgical procedures, from laparoscopies and colonoscopies to more extensive surgeries. He has been with Unity Medical Center since November 2010.